Plummeting profits for U.S. solar manufacturers and the Solyndra bankruptcy have been fueling resentment against China for its generous subsidies of its domestic solar companies. That resentment has now morphed into petitions filed on Wednesday that ask the U.S. International Trade Commission and the Commerce Department to investigate Chinese companies for allegedly flooding the U.S. market with solar cells and panels at below market prices. The petitions, filed by seven manufacturers behind a newly formed group called Coalition for American Solar Manufacturing, allege that China has failed to disclose most of the subsidies it doles out to its manufacturers, including loans, lines of credit, tax breaks, and favorable terms for insurances, land and utility costs. As a member of the World Trade Organization, China is supposed to disclose its subsidies regularly so that other countries could decide how to respond and determine whether those subsidies unfairly enable certain companies to grab market shares. The petitions specifically target Chinese manufacturers of silicon solar cells and panels, the most common solar energy equipment on the market today. With the government’s financial help, many Chinese companies have greatly expanded their factories in the past four years. That economy of scale has allowed them to sell their goods at lower prices. The petitions asked the trade commission and the commerce department to impose duties on Chinese silicon cell imports to help U.S. manufacturers. Many non-Chinese solar companies have been unhappy with China for a while now. SolarWorld, based in Germany, has been a vocal critic of China and the Chinese manufacturers. SolarWorld’s CEO, Frank Asbeck, advocated for regulations to protect German companies back in 2009. CEO of the Fremont, Calif.-based Solaria, Dan Shugar, took a jab at China at a solar trade show panel discussion that also featured Chinese solar manufacture Trina Solar (s TSL). Shugar pointed out that China has a policy of subsidizing its manufacturers to encourage exports, while it limits imports from other countries and also favors domestic companies for local solar project development. Trina’s CFO, Terry Wang, responded that other countries should step up their own financial support rather than complaining that China is doing too much. The anger toward China has grown this year as the global solar industry is suffering from producing way too many goods than the market demands. The primary cause is a change in government incentives in Europe – the largest solar market – that prompted banks and developers to finance and build projects. A buildup of unused solar panels in warehouses has caused prices to plummet by 30-40 percent and that in turn prompted some manufacturers to sell at a loss. The bankruptcy of Solyndra last month, along with bankruptcies filed by SpectraWatt and Evergreen Solar earlier this year, has fueled even more resentment toward China, even though the solar coalition began working on their petitions before Solyndra’s failing became known. SolarWorld is now leading the latest round of trade rule battle against Chinese companies. 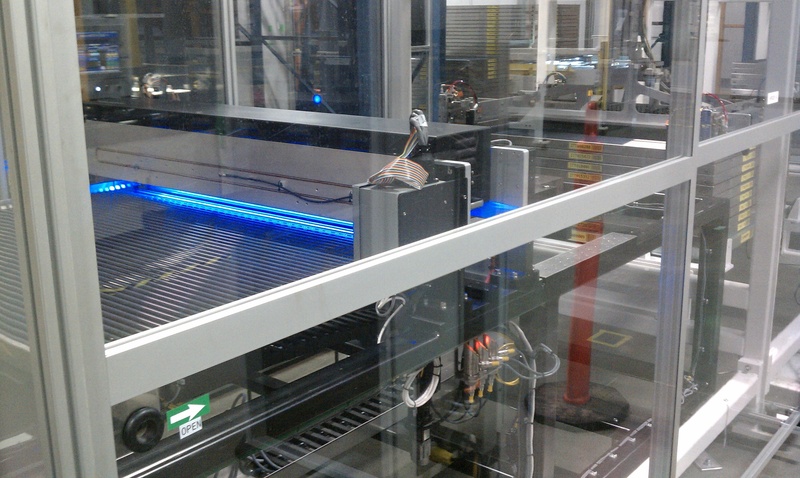 SolarWorld has a large manufacturing center in the U.S., and it’s had to downsize its operation this year. Interestingly, the six other manufacturers in the coalition aren’t willing to publicize their names, something they can do in trade complaints. The reluctance of these six manufacturers to say who they are shows how sensitive trade disputes with China are. It also reflects the symbiotic relationship that the U.S. and China have developed in trade. The U.S. Solar Energy Industries Association issued a report earlier this year that showed that U.S. exported more solar goods than it imported in 2010, even from China. U.S. sells a lot of factory equipment and silicon to China, which then uses them to make solar cells and assemble those cells into panels and export them. Because the U.S. market is expected to grow faster than European market in the future, many Chinese solar companies have set up offices in the U.S. and become involved with the solar trade association. 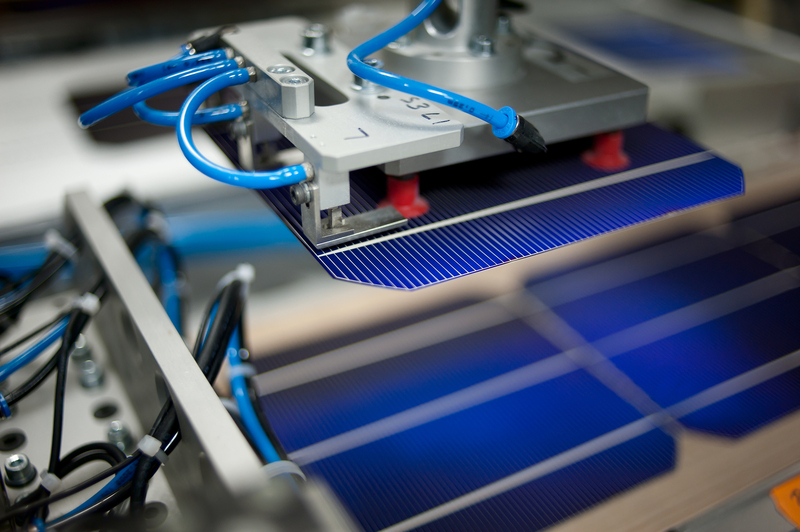 Suntech Power (s STP) even opened a solar panel assembly factory in Arizona last year. At the same time, the Chinese government has created incentive programs to encourage solar power generation domestically, and many American companies, including First Solar (s FSLR) and Applied Materials (s AMAT) are hoping to benefit from those policies. China also has become a significant source of venture capital for American solar startups. I just want to know where to buy these cheap panels, I need a couple, but I don’t see any cheap ones on the market. John, Yep this is silly, Solar prices will keep going down, probably to $.70 a watt by end of 2012, if the 40% decline this year is matched. US companies need to come up with Value added technologies to hold off China. In the next 12-18 months big players like Samsung, AUO, Hyundai, TSMC, GE (maybe), and other large electronic companies are going to overrun China’s solar manufacturing…and will certainly run over U.S. manufacturers. And who cares? Manufacturing solar cells and modules is a terrible, terrible business. I’d rather have someone else do it…I don’t know what all the fuss is about. China has done the industry a HUGE FAVOR by lowering the cost of panels. It’s a thankless job, and soon the Chinese solar landscape will look much much different. Creative destruction is necessary, and in the long-run, beautiful.